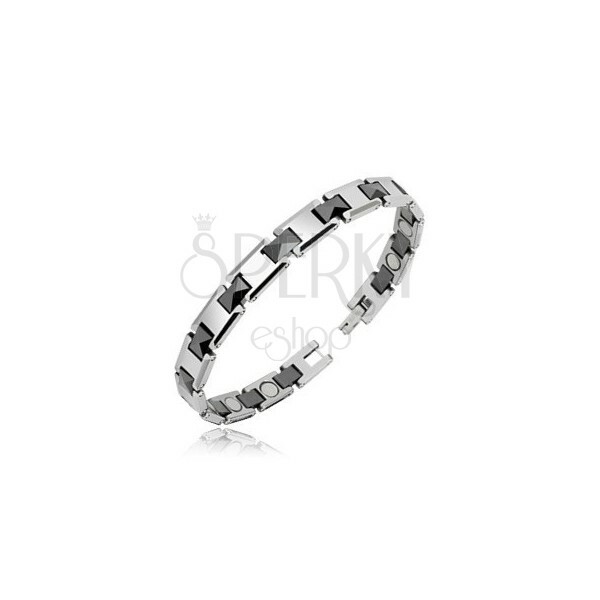 Magnetic tungsten bracelet with rounded H-links in silver colour and slightly cut black joints. 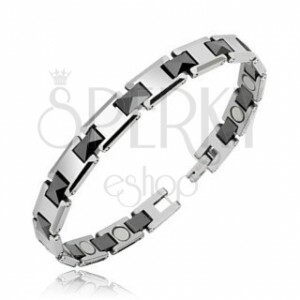 Shiny tungsten bracelet in bicoloured design. It is composed of rounded links in silver colour in shape of letter H and black rectangular links with slightly cut surface. There is a gray-black magnetic ball in each H-link on the back part of the bracelet. Wristwatch clasp.